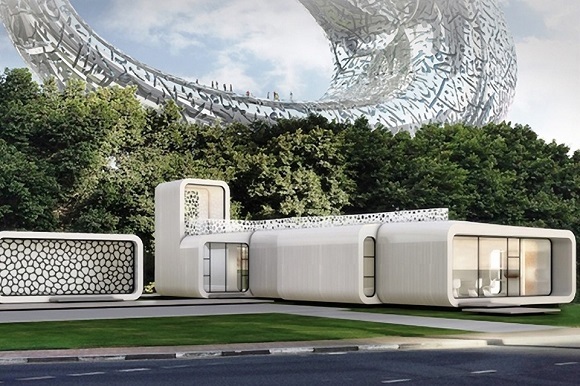 If anyone tells you about a 3D printed apartment or house, you will not be so much surprised. At least we know for sure that a number of challenging projects to build these structures are at present being developed. Greater parts of these buildings use 3D printing only for exterior walls as a replacement to wood framing or concrete blocks. However, last Tuesday the United Arab Emirates National Innovation Committee unveiled the project that will help the things move a lot further. The committee together with the UAE Vice President and Prime Minister and Dubai Ruler Shaikh Mohammad Bin Rashid Al Maktoum are willing to make Dubai the world centre of new technologies, especially design and architecture. They have also planned to 3D print a whole office building. They are going to 3D print not only exterior walls, but also the inside walls and the furniture. WinSun Global will be leading this project; it is the company that has already 3D printed an apartment building and a house this year in China. In addition, Syska Hennessy, Gensler and Thornton Thomasetti will take part in the project – all of them are well-known architecture and engineering companies. The Chairman of the UAE National Innovation Committee told that the project is the reflection of their idea of leadership in Dubai. 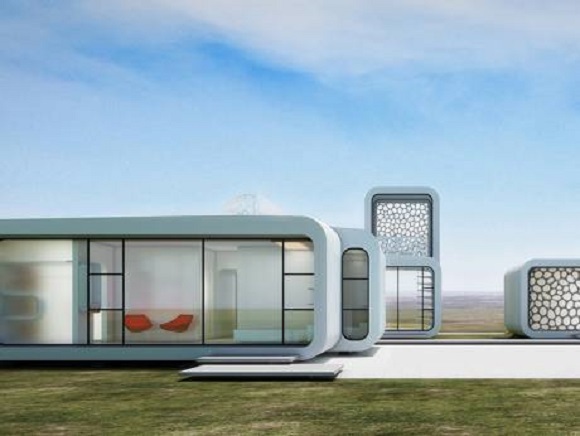 The concept of 3D printing houses used to be a dream, but at present it is so real. 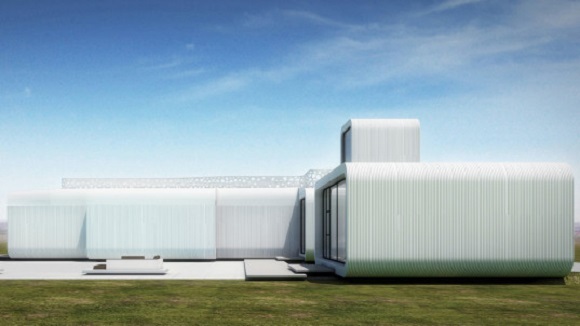 This building will become the evidence of creativity of additive manufacturing and its benefits. Hopefully they will play the most crucial role in changing the design and construction fields. Now they hope to use this growth to its maximum becoming the global centre for 3D printing and innovation. This is the first stage, but a lot more are still to come. The 3D print a two-thousand square foot building the engineers will need a twenty-foot tall 3D printer, which will be placed on the building site. The site is situated at a busy crossing in the very centre of Dubai. The Special Reinforced Concrete (SRC), Glass Fiber Reinforced Gypsum (GRG) and Fiber Reinforced Plastic (FRP) will be used to produce different decorative and structural parts of the building. It will take about a few weeks to build the construction. In addition, labor expenses will be reduced by at least a half; building expenses will be cut down by 30-60 percent. As soon as the building is ready, it will serve a number of purposes and will include a 3D printing exhibition. This will be the first large-scale project by the “Museum of the Future”, which started constructing earlier. Beforehand it promised that 3D printing would be used to let this creation appear. If Dubai aims to become the world technological centre and show its full potential, we are expecting to see what there will be in the future. It’s worth pointing that Winsun is not going to print walls and send them to the building site, but it’s about to print the building on-location.